The non-stop rain Friday evening didn’t discourage parishioners of St. John Neumann Catholic Church in Sunbury from holding their annual community festival. 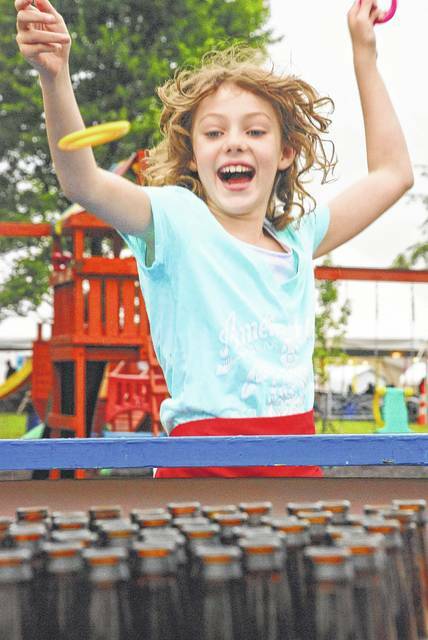 Julianna Maynard, 8, found great joy in getting out and trying her hand at the ring toss game once the rain tapered off to a few sprinkles. The weather was much better on Saturday for the second day of the annual festival. This entry was tagged Community Festival, delaware, St. John Newman, sunbury. Bookmark the permalink.